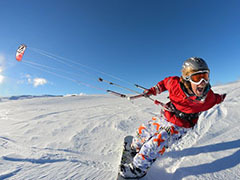 Les Vierra is a PASA certified snowkite instructor and owner of Utah Kite Addiction. 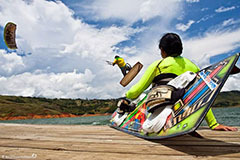 He has four years of kiting experience on land, water, and snow and is eager to share his snowkiting addiction with others. When not instructing in the winter, he works as a consulting civil engineer. Other passions include just about any form of mountaineering. Tim Daniels is an apprentice instructor for Utah Kite Addiction and assists with Lesson 1 and Lesson 2 classes. 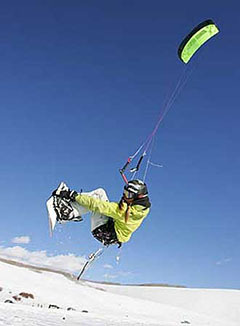 In addition to instructing snowkiting, he also works as a mediator and song writer. 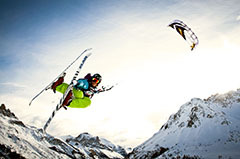 He is an avid backcountry skier, skate skier, and mountain biker.